Do you support a charity and are you looking for a way to raise funds? How about collecting foreign coins and leftover travel money. There is £1.8 Billion worth of foreign coins and leftover currency in British drawers. Wouldn’t it be better if these coins and banknotes found their way to your charity tin, rather than just collecting dust? Here are some fundraising ideas about collecting foreign coins for charity. How to collect foreign coins for charity? Collecting foreign coins for your charity is a bit different than collecting normal spare change. Most people don’t have foreign coins in their pockets. Therefore, you either need to give people some advance notice to bring their foreign spare change, or you can visit them at home. 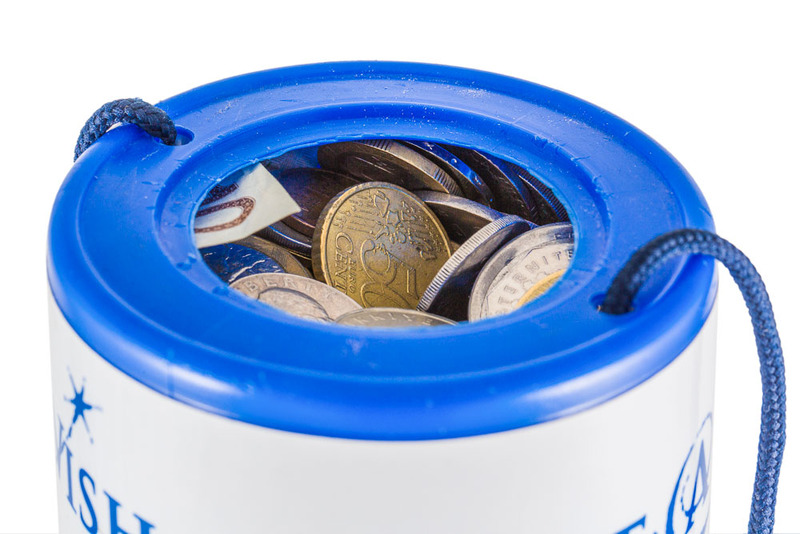 You could place donation tins at local shops, newsagents, … next to a sign where you explain that your charity is collecting foreign coins and banknotes. 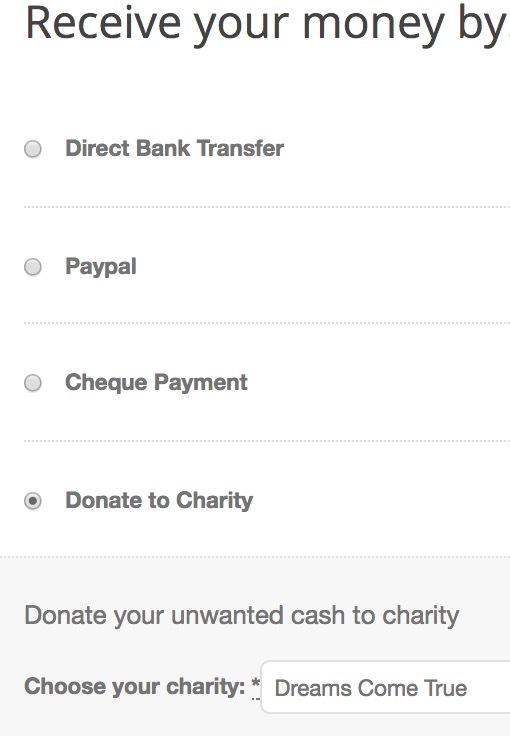 How to exchange your collected foreign coins for charity? Having collected the foreign coins for your charity, now it’s time to exchange them for cash. That’s where we can help. At Leftover Currency we exchange foreign coins, as well as banknotes, including out-of-circulation withdrawn banknotes and pre-Euro currencies like Spanish pesetas. That way each coin and banknote donated counts. Even if the coin has no monetary value, the metal value will always mean it’s worth something at least. To qualify for the preferential charity terms, we ask that you add the charity name and number on the exchange form (or add this information in a cover letter attached to the form). If your charity is collecting foreign coins, do let us know. 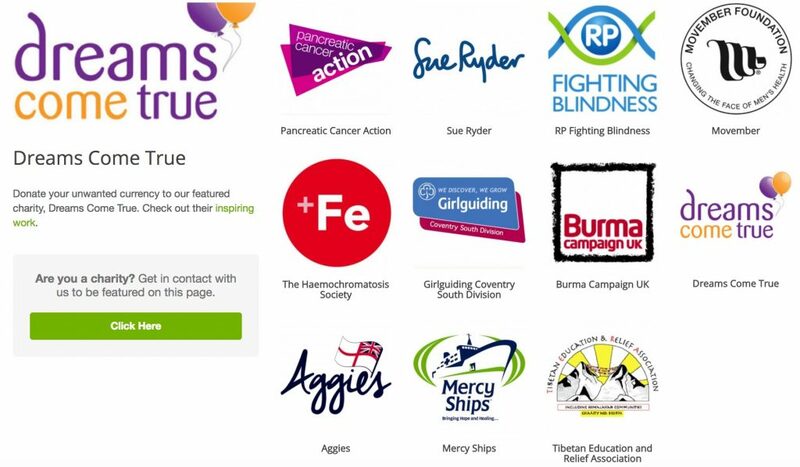 We can create a profile page about your charity fundraising on our website, for example like the Dreams Come True profile page. A charity profile page allows your charity to introduce itself to our site visitors, and explain what the raised funds will be used for. We create the charity profile page free of charge. We need a logo file, a few pictures and a short 2-3 paragraph text about your charity fundraising. 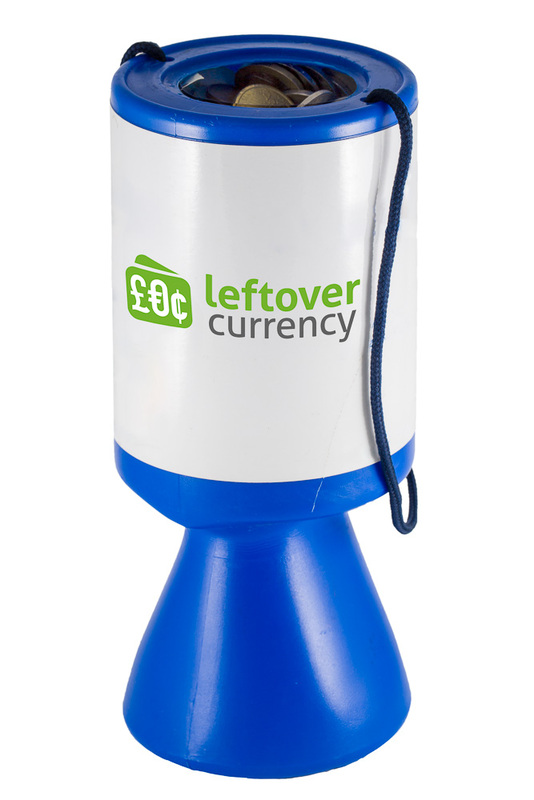 Our visitors will be able to donate the value of their leftover currency to your charity. If you are interested to feature your charity on our site, please contact us. An overview of the charities we work with at Leftover Currency can be found on our charity page.